Some of the dance questions from beginners and/or amateurs I receive are usually repeated. To avoid the repetition of threads within our forum, please follow a very simple process before asking your question. Have a look at our right column, where you will find a Google search box. 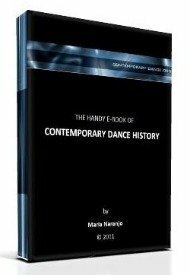 It is located near the top, just below the post for the e-book of contemporary dance history. This search box works only within contemporary-dance.org (our website), and not within the rest of the Web. Just write some of the words that make your question, for example: IS IT TOO LATE FOR ME TO START DANCING?, and then click the search button. A new page will open with several results. Now you can read about what you are looking for. It is very possible that you will find the answer to your query. 2. Fill in the form below and click on the ‘send my question’ button. Make sure you always select one of the notification options when asked andprovide your e-mail address. I will not answer to repeated questions but I will contact you to tell you where the answer can be found. By providing your e-mail you will also instantly know when my answer, or comments from other visitors, have been posted. Starting to dance as a clinically obese person? Do I need to be flexible to do contemporary dancing and do I need skills in Ballet ? How to start your dancing career. Is dancing contemporary just a dream for me? I'm a totally new learner. Will I hurt myself? Learning the basics of contemporary dance for free ? Hi, I want to ask how to find out auditions for dance companies. How old do you have to be to start contemporary?